I made this loaf a while back and it is great for sharing with friends and family. I love garlic bread and this recipe is a real winner! 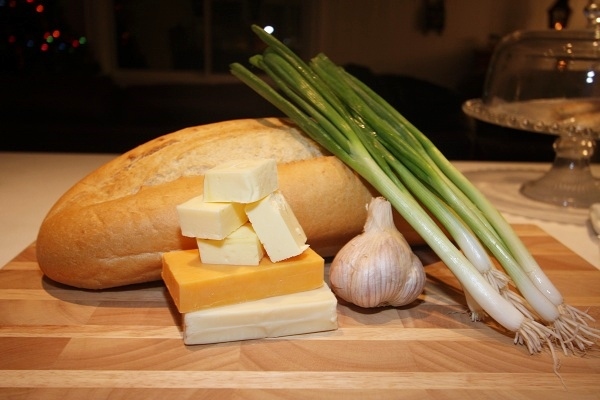 Ingredients: French loaf, cubed salted butter, fresh garlic, green onions, cheddar cheese and mozzarella. 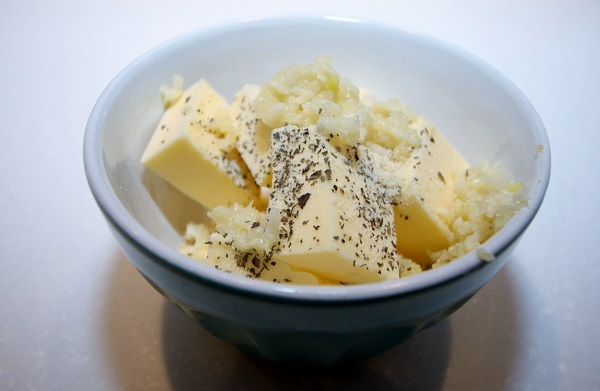 Take your cubed butter, minced garlic, oregano, and Parmesan, place into a microwave safe bowl. Slice loaf vertically making sure to not go all the way through, then slice bread in the opposite way so it crisscrosses. Add shredded cheeses, green onions, and the melted garlic mix. Great appetizer to share with friends and family! Then place your minced garlic, oregano, Parmesan and butter into a microwave safe bowl and melt. Cut the loaf till it resembles a checker board. Slice in one direction and then the other. Using a silicone pastry brush spread the melted butter mixture into each of the loafs slits and slices. Bake in oven until cheese turns gooey golden cheese brown colour, and loaf becomes crisp, about 10-15 mins. 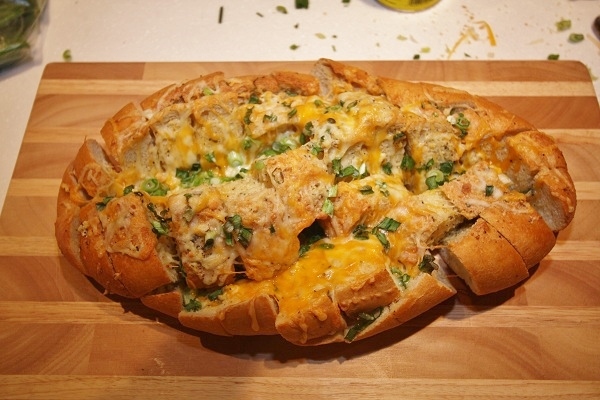 This entry was posted in Appetizers & Snacks, Breads, Recipes and tagged Bread, Cheesy Garlic Bread, Cheesy Pull Apart Garlic Loaf, Garlic, Garlic Bread, Garlic Loaf, Pull Apart Bread. This looks amazing! 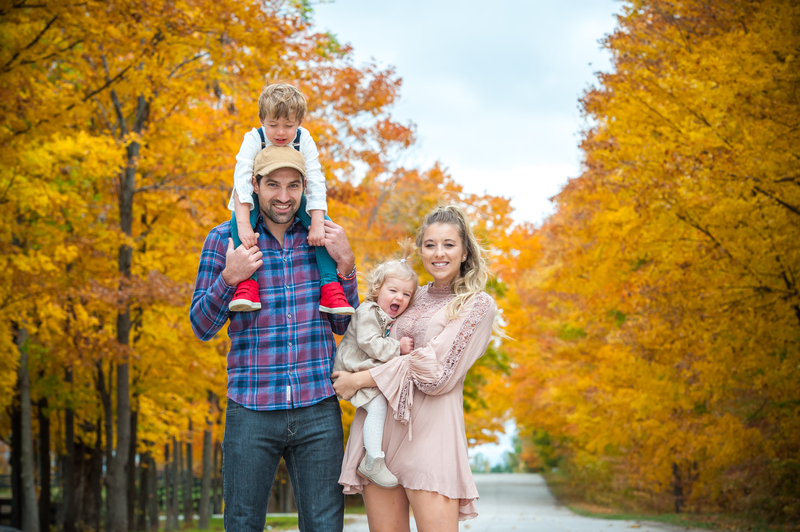 Excited to follow all your yummy recipes and watch that bump grow!.